The program consists of two months of intensive work, to assure the needed 60 days for profound change to happen and new skills to become habits. • Nestworking I – ‘In the mood for growth & performance”, 4 days full: challenge, welcome, support and strengthen new beliefs, for better communication and relationships. 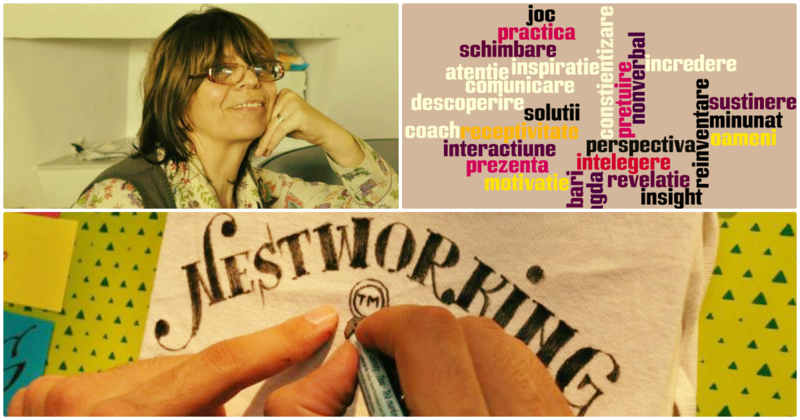 • Nestworking II – ‘In the mood for performance & leadership”, 2 days full: written and conversational communication. • Nestworking S: 1 day supervision. Recommended participants profile: managers, team managers, supervisors. NESTworking™ in house customized for your needs – request a training outline – what are your learning objectives? We will design the training program – based on the NESTworking™ approach – that suits your company’s needs – in communication/leadership/ownership/respect, and also coaching skills and coaching supervision. Let us know what you are looking for. Who is it for? What is the time frame that you have in mind? Executive coaching, team coaching, corporate coaching. 16 hours workshop (1 month), organized 4 times every year. Only 9 places per workshop! Book a place now.